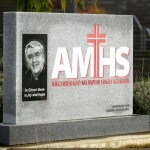 A stone erected in memory of Archbishop Thomas J. Murphy that is located at the main entrance of the school campus. 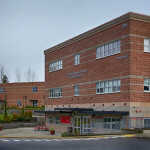 The Senior Class of 2009 donated the funding for the construction and installation of the stone. 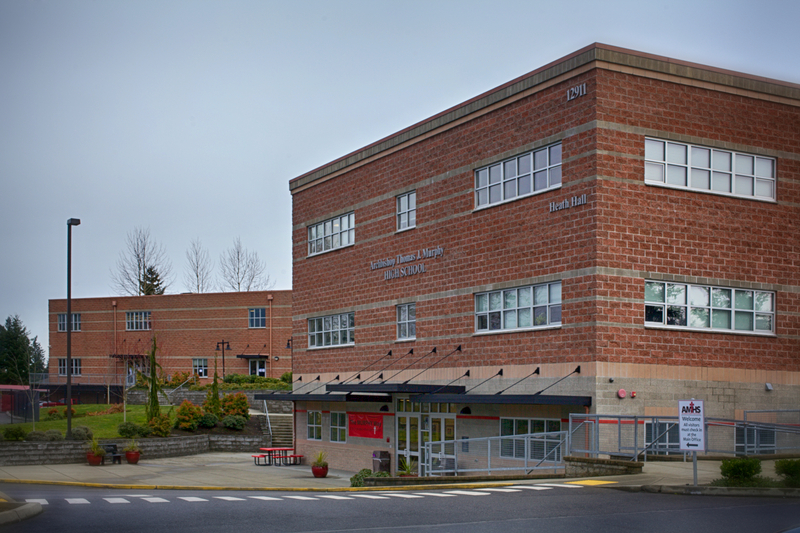 Archbishop Murphy played a material role in the founding of Holy Cross High School in Everett, WA. He placed a high level of importance on ministering to young people. Many young people were taken back by his openness, warmth and humility. The archbishop often surprised them by being current on topics such as movies, music and the latest developments in technology. He possessed a unique ability to interact in a meaningful way with young people. 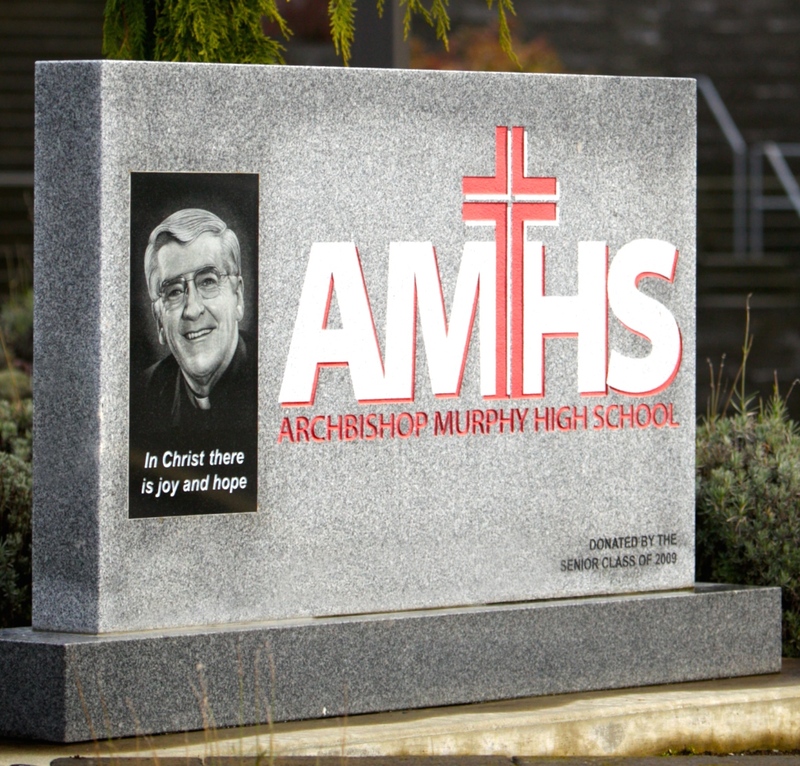 For these and many other reasons, the Board of Trustees of Holy Cross High School changed its name to Archbishop Thomas J. Murphy High School in 1999 to honor the man who had done so much for the school and the young people of the Archdiocese of Seattle. Click here to read Bishop Murphy’s February 05, 1984 Montana Catholic Register “Reflections” column – “The Significance of the Second Vatican Council”. Click here to view a video of Archbishop Murphy addressing a group of RCIA candidates and asks them a fundamental question – What do they live for?